Are you currently living with burn spots in your carpet? Have you had an accident while ironing your clothes and left a mark where the iron fell. We’ve seen every imaginable situation, from blood to bleach spots, we know how to get your carpet looking presentable again. 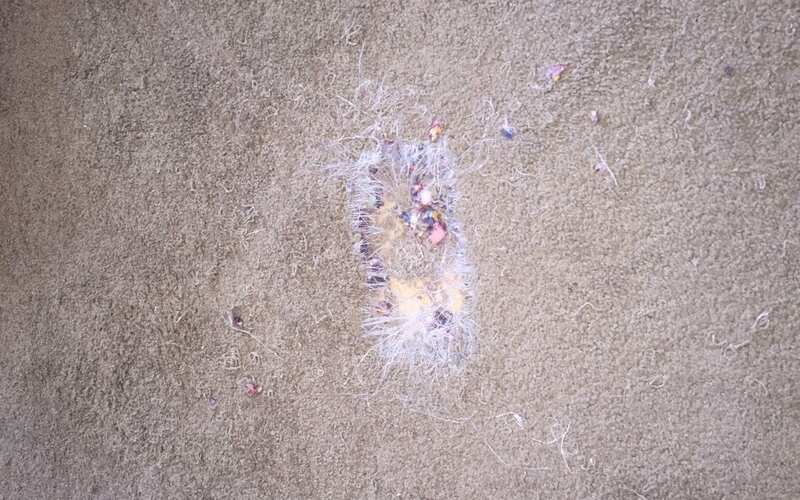 Our customer in Surprise needed her carpet repaired from pet damage. The customer had carpet remnants to for the repair, but if you do not have remnants, we can still help you. We service the East and West Valley, there is no job too big or too small, we can do it all. Call (480) 360-4430 for a free consultation over the phone!